Honored to be a finalist in the Winter 2017 Focus PHOTOLA Competition. Ready for the lunch rush. 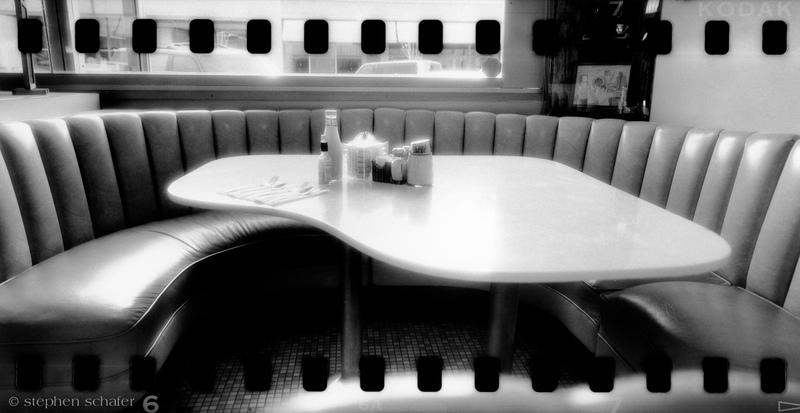 Pete’s Breakfast House, Ventura, CA. Missing the B. Downtown Waxhaw, North Carolina. 8 lanes, no traffic. 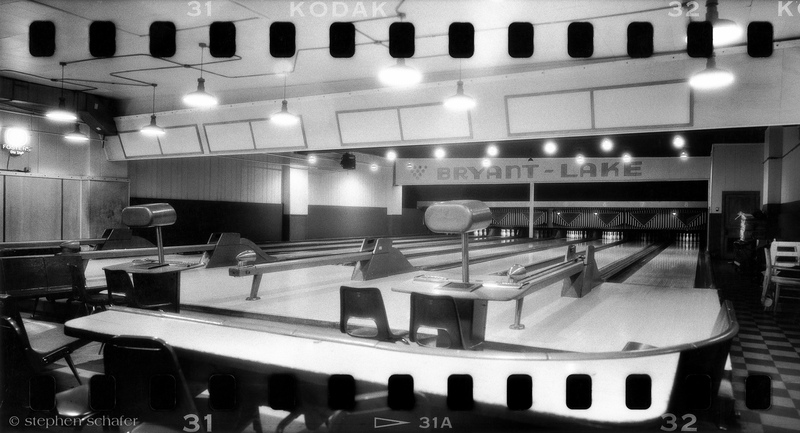 Bryant-Lake Bowl, Minneapolis, MN. 2 gables. 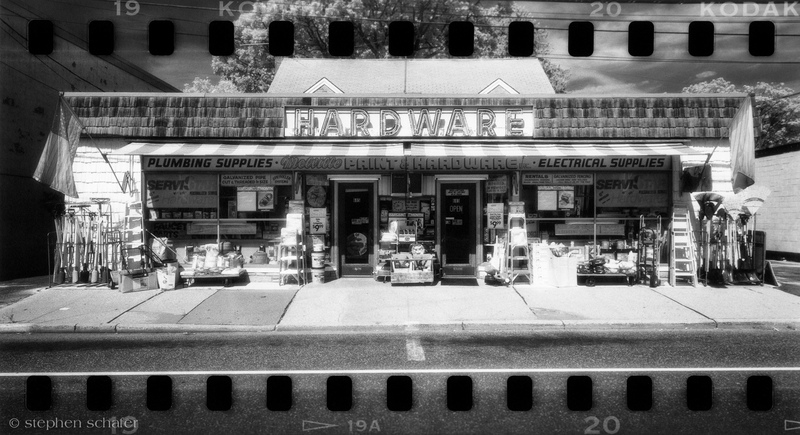 Melville Hardware, Melville, Long Island, NY. Two and a quarter dogs. 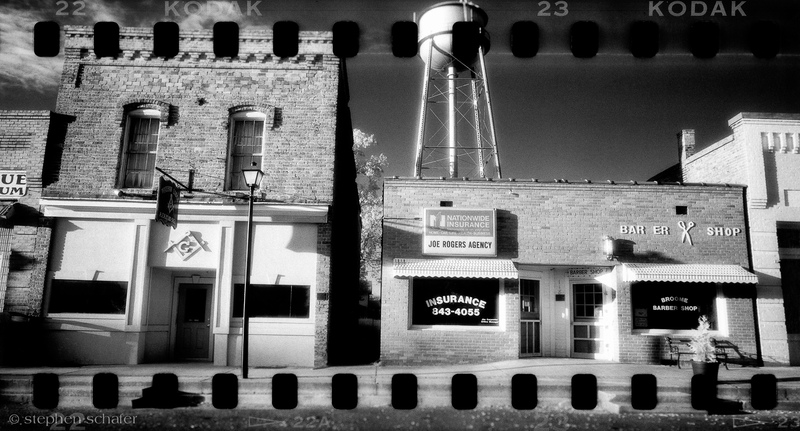 Farmers Cooperative Gin, Buttonwillow, CA. Filling the pool. 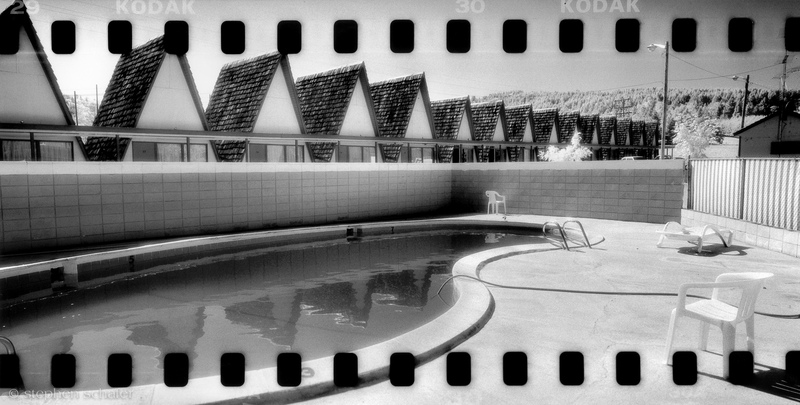 Ranch Motel, Rice Hill, Oregon. Geraniums in bloom. 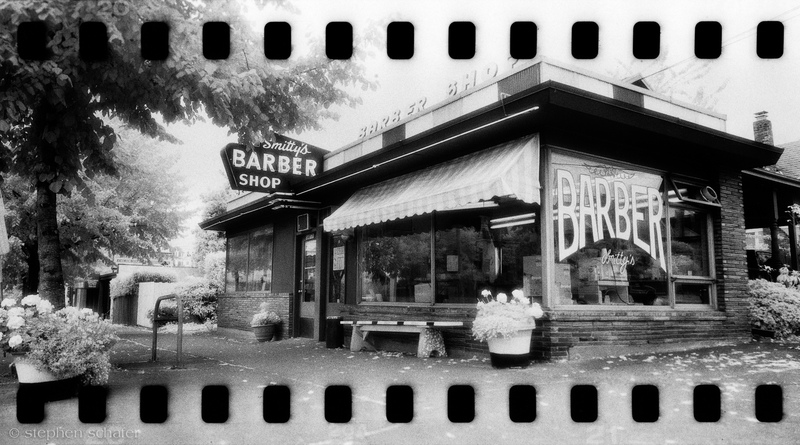 Smitty’s Barber Shop, Seattle Washington. Family booth. 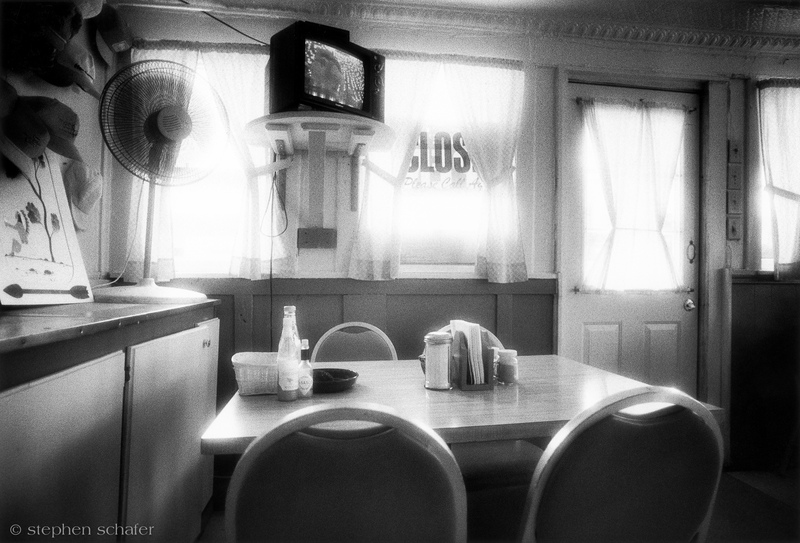 The Chili Hut, Santa Paula, CA. 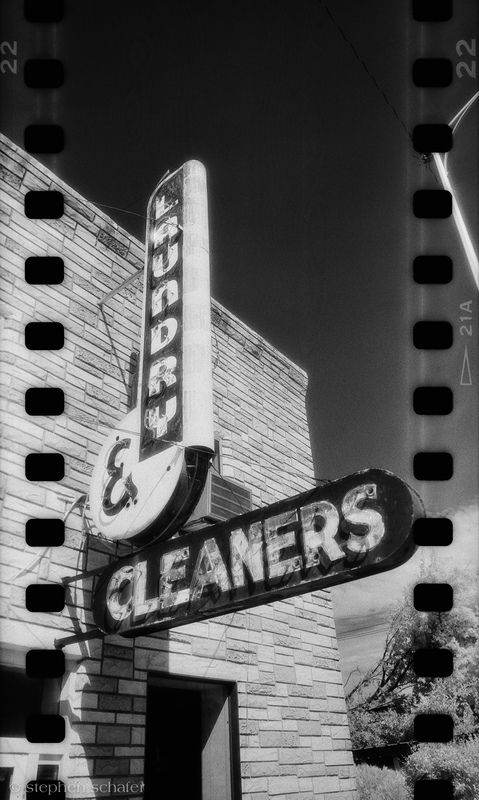 Laundry and Cleaners neon. Broken Bow, Nebraska. Apple and cherry today. Lil’s Kitchen, Arroyo Grande, CA. Simple Cross. 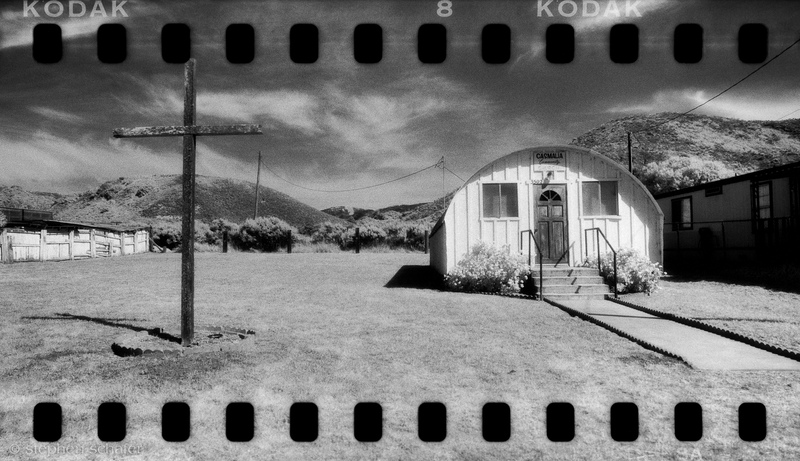 Casmalia Community Church, Casmalia, CA. 6 ajar. 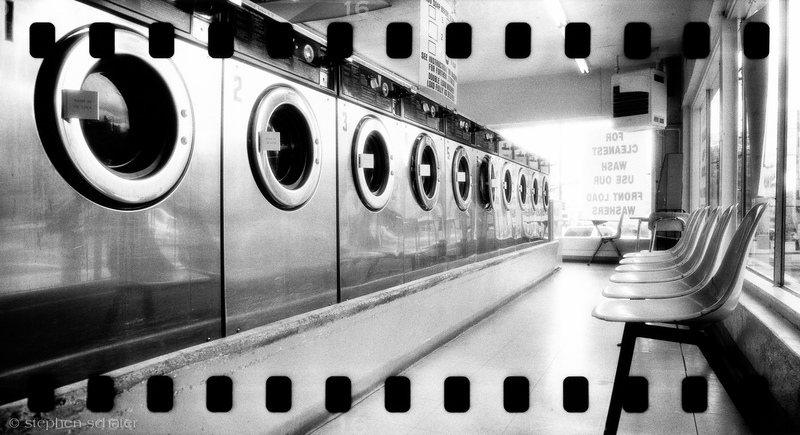 Rose Laundry, Salt Lake City, UT. Always open. 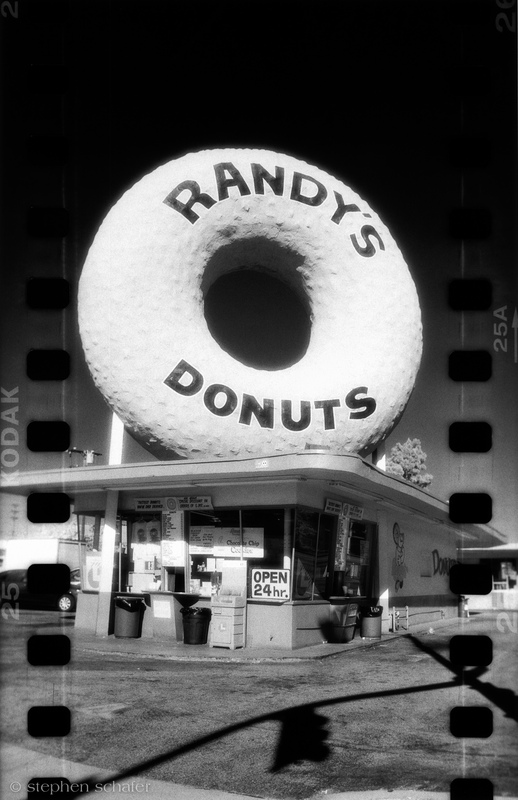 Randy’s Donuts, Inglewood, CA. With a smile. 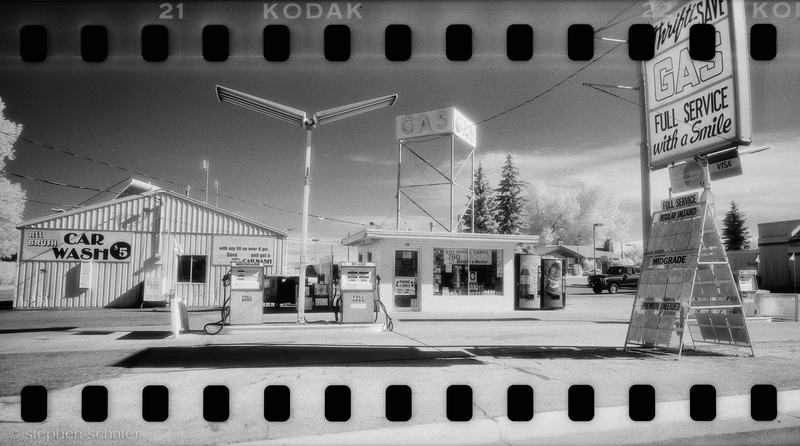 Thrifti-Save Gas, Laramie, Wyoming. 3 pies in the mirror. 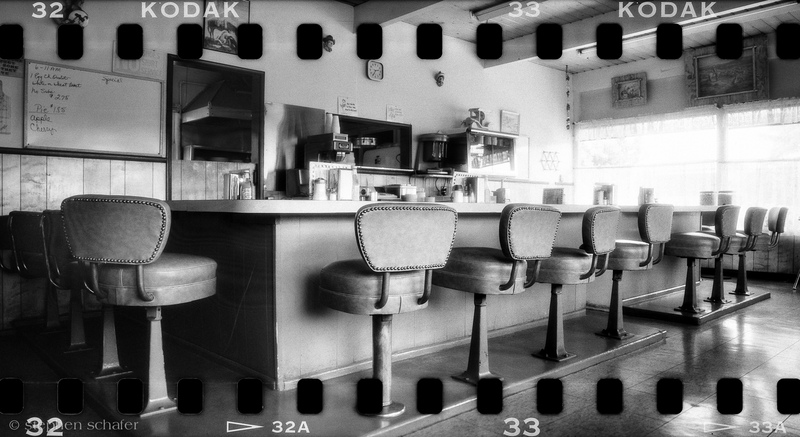 Saugus Cafe, Newhall, CA. 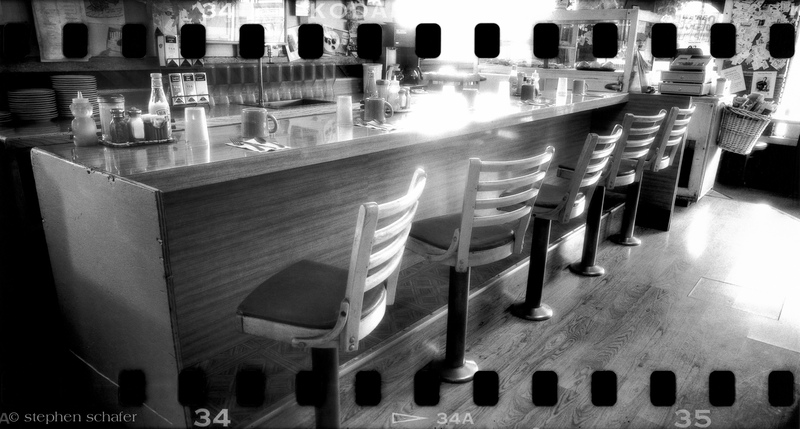 5 old stools. 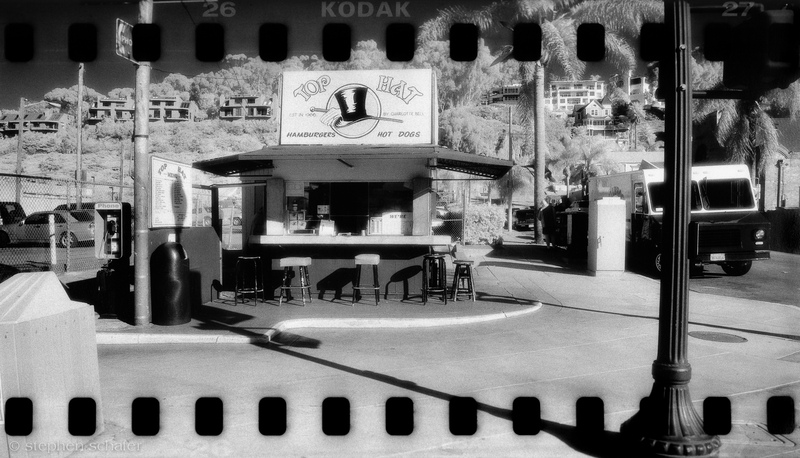 The Top Hat Burger Palace, Ventura, CA. 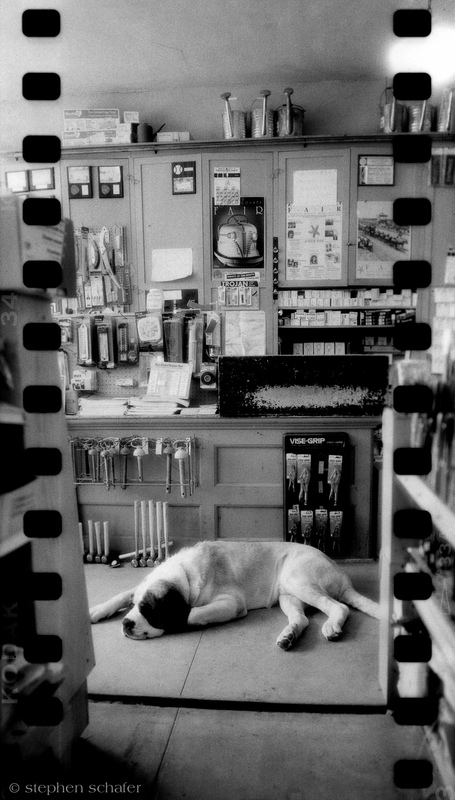 Asleep at Fulkerson Hardware, Somis, CA. 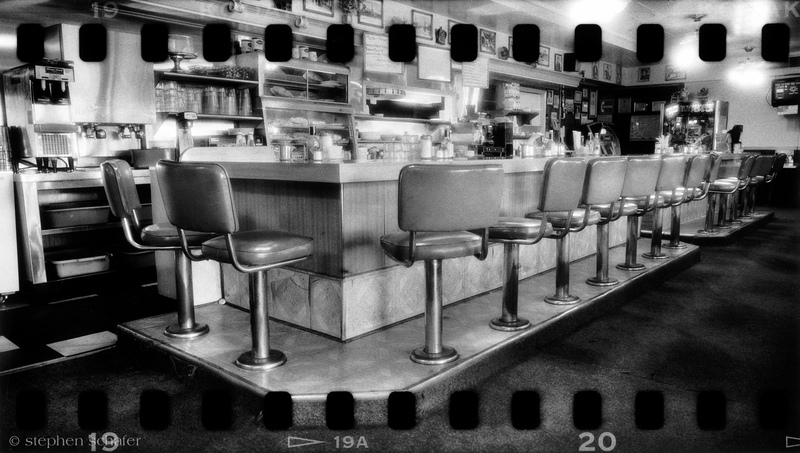 Norma Jean’s Restaurant, Columbia, Tennessee. It was July 1998. 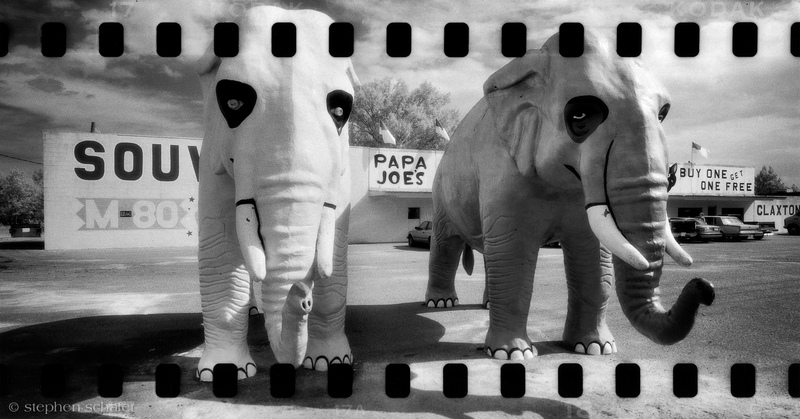 On a roadtrip from Birmingham, Alabama to Nashville, Tennessee. That day, I stopped the car in front of a tiny restaurant and went inside for a late lunch. The place was deserted except for the dozens of empty baseball caps hanging on the wall. That day, a new project began.